There goes compromise, collegiality, comity, courtesy. U.S. Attorney General Jeff Sessions has been shown the door. The day after the midterm election, Donald Trump made good on his threat. He asked for Sessions to submit his resignation; the AG did and now he’s out. What’s next? Let’s see, the president will nominate a new attorney general who more than likely won’t recuse himself from the “Russia thing” probe, which Sessions had to do. More on that in a minute. This appointment might put special counsel Robert Mueller’s expansive and extensive investigation into alleged “collusion” between Russian agents and the Trump presidential campaign into jeopardy. Trump, though, says he has “no interest” in ending Mueller’s probe. You believe the president, right? Me, neither. I am no fan of Jeff Sessions, but he did the only thing he could do by recusing himself from the Russia investigation. He served on Trump’s foreign policy team during the campaign. He played a role in whatever happened between the Russians and the campaign. He couldn’t possibly investigate himself, so he backed away, handing the Russia probe over to his No. 2 man at DOJ, Rod Rosenstein. 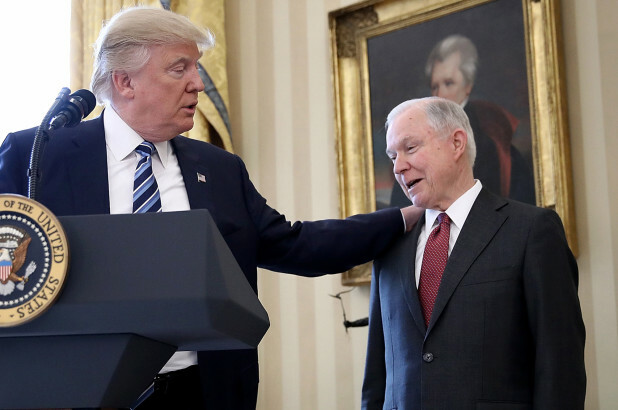 Sessions’s recusal infuriated the president, who wanted Sessions to act with total loyalty and fealty to the man who nominated him. That, of course, is utter nonsense. Sessions did the right thing and he incurred the president’s wrath for doing it. One more time, with emphasis: Be sure to let Mueller complete his investigation, Mr. President. If there’s nothing there, then Mueller should be allowed to say so himself. But if there is something … well, then we all have a problem.